Heat oven to 350°F. Spray 9-inch pie plate with cooking spray. Unroll dough onto work surface. 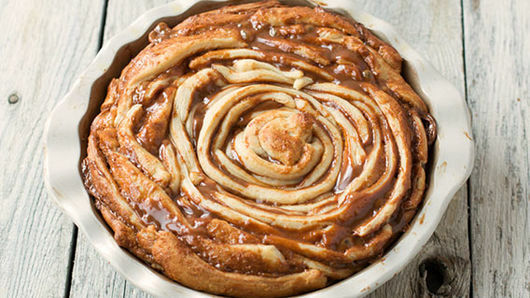 Spread evenly with dulce de leche. Cut into 1 1/2- to 2-inch strips. Starting at one end of 1 strip, roll up to other end; place cut side up in center of pie plate. Wrap second strip around center roll. Repeat with all strips to form one big pinwheel. Bake 25 minutes. Cover lightly with foil; bake 15 to 20 minutes longer or until thoroughly baked in center. Meanwhile in 10-inch skillet, cook butter, brown sugar, water and vanilla over medium heat, stirring occasionally, until butter is melted. 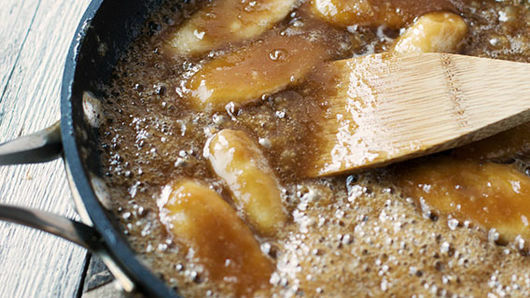 Add banana slices; cook and stir until tender. Remove pie plate from oven. Cool 5 minutes. 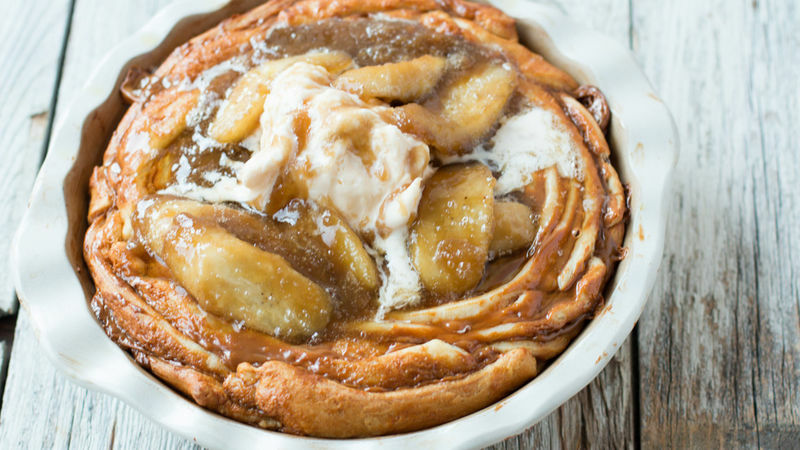 To serve warm, top with ice cream and saucy bananas. Can’t find dulce de leche? 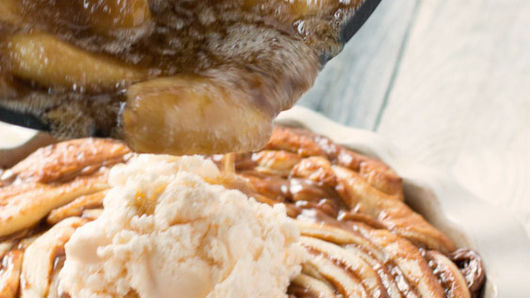 Just use ice cream caramel sauce! The sauce can be made and then reheated but only within about 30 minutes of the bake time.